4 Comments This post may contain affiliate links. 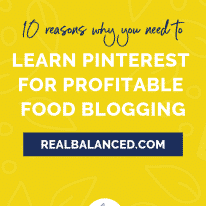 Are you looking to learn more about how food bloggers make money? With multiple revenue streams available, being a full-time food blogger is totally feasible and I’m here to show you how to do it! As a food blogger, people regularly ask me questions about how my job works. 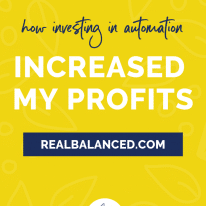 Mostly, the questions are related to money, which I completely understand as my line of work is not exactly “traditional.” Many people wonder how I am able to make a full-time income based on my website alone. One of the biggest questions people ask is, “how exactly do food bloggers make money?” The truth is, there are a variety of ways a website like mine generates a steady income. Between affiliate marketing, sponsored content, advertising, eBook sales, and contract work, there are a number of income avenues to make your blog your career. 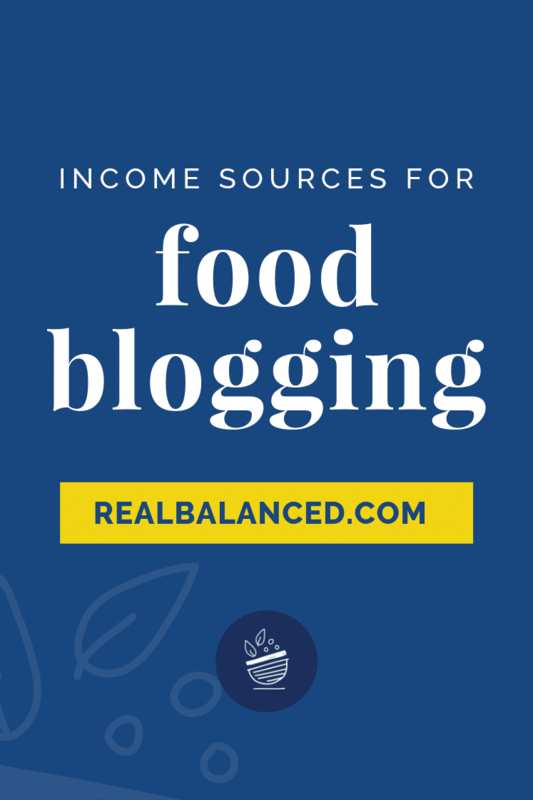 Download my Income Sources For Food Blogging Cheat Sheet! 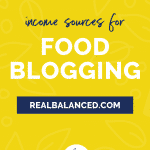 With this resource, I walk you through the various ways to create an income through food blogging, complete with actionable steps! Are you new to blogging? 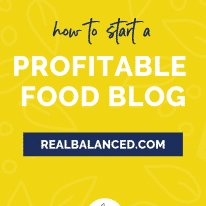 Be sure to read this post all about starting a profitable food blog and all of the other helpful business-related resources I have about food blogging! Below are the primary methods I use to make a full-time income from my food blog. The main tip I have for those of you who are looking to make money from food blogging is to diversify. It’s important to never assume that you can put all of your eggs in one basket; meaning, don’t only work on one or two of the below income streams, because if, at any point, one of those things stops working, you don’t want your business to come crashing down. Work on ALL of these items regularly to ensure your food blogging business is safe from the ever-changing market. Affiliate marketing is a fantastic tool to use to monetize your food blog. Affiliate marketing involves working with companies to promote their products. When someone comes to my site and chooses to purchase something through one of my links, I receive a percentage. My advice for affiliate marketing is to work with brands you truly love and that you use frequently in your recipes and/or in your personal life. You, of course, don’t want to promote anything that you wouldn’t naturally be using because, trust me, your audience is smart and they WILL know if you are solely promoting a brand or a product because you’ll make money from it, which will ultimately mean that it is unlikely they’ll purchase. Reach out to companies that you love and propose the idea of working together. The easiest way to do this is through email or through social media. Put together some ideas for how you will use the company’s product(s) and prepare to pitch those ideas to them. If you use their product(s) regularly, tell them that! If you never have but are interested in trying them for an ongoing partnership, let them know that too. They may even have some ideas of their own! The main thing I really love about affiliate marketing and making an income this way is that everyone wins. The brand gets more awareness and will make money off of your endorsement, your followers will likely be offered a discount by the brand, and, to top it all off, you make a commission on solely sharing about something that you would normally share on an everyday basis! Pretty cool and, when done correctly, can make you A LOT of income, most of it happening relatively passively. When scrolling through food blogs, you may notice advertising, often placed between paragraphs (often referred to as “in-content ads”), in the sidebar, or near the footer. These ads make bloggers money. Purely by having ads on a site that garners traffic, you can make money. If you are new to blogging and are interested in placing advertisements on your website, Google AdSense is a great place to start. With Google AdSense, website ads are paid for by other businesses. Companies pay Google AdWords to have their ads placed on relevant websites, and then the ads appear along the side and bottom of sites like yours. The ads placed by Google will always be relevant to your website’s content. If you are a food blog, the ads will be for things such as restaurants, food gadgets, etc. Once the ads are placed, you are compensated for each click! Some other advertising programs include AdThrive and Mediavine. I personally work with Mediavine and, since making the switch, have been able to make a lot more money than I ever did with Google AdSense. Majority of traffic is based in the U.S.
Once you meet the page view threshold to apply for these agencies, be sure to do some research and find out which agency will work the best for you. If working with an agency is something you’re not currently interested in, you can also reach out to companies to interest them in placing intentional ads on your site. These ads will be more “permanent” and unlike Google ads, will only change when intended. This can be a great way to partner with companies that you love! Publishing sponsored content on a food blog is a great method to increase revenue. Sponsored content typically appears in the form of recipes, general blog posts, social media campaigns, email marketing blasts, giveaways, etc. This practice involves working either directly with a company or through an agency to create content that features their product and/or serves to increase their brand’s awareness. For instance, on my site, I have worked with a variety of brands and agencies on sponsored recipes that focus on specific ingredients. If you want to see an example of a sponsored post, check out my Low-Carb Chocolate Cranberry Bundt Cake with Sherry Cooking Wine recipe. Since this recipe was sponsored, you will notice that the post highlights the brand and their product. The agency will typically give you strict guidelines which, if you are new to publishing sponsored content, will give you some great structure on what brands’ expectations are of you for future sponsored content opportunities. After you become more comfortable with sponsored content, I’d suggest pitching brands directly. Why? Because an agency won’t take a “cut” of the money AND because, well, it’s great experience for you! I’ve been fortunate enough to work directly with a variety of brands and, in some instances, these partnerships have been ongoing with a contractual agreement to create sponsored content for them each month. Opportunities like these are excellent ways to create steady income, but be very aware that you need to put in the effort to show the brand WHY they should be paying you, especially if you want to work with them in an ongoing fashion. Always ask yourself, “am I an asset to this company?” If you’re honest with yourself and the answer is “no,” you need to re-think your strategy and determine how you’re going to improve your work product for them. One of my favorite ways to generate food blog income is through the sale of eBooks. When venturing into creating an eBook, it can be a long process, but, for me, has been SO rewarding. Seeing my hard work come to fruition is always such an exciting thing and, with an eBook, you can actually see everything come together in a page-by-page product! The first step to creating an eBook is doing A LOT of research. Determine what you can provide to your audience that doesn’t already exist. What sort of resource can you create for your readers that will truly add value to their lives? Depending on your niche, a recipe or cookbook full of innovative recipes is a great option! My most recent contribution to the eBook world was a book centered on fat bomb recipes! Titled “Fat Bomb Favorites,” these delicious fat sources are one of my areas of expertise. 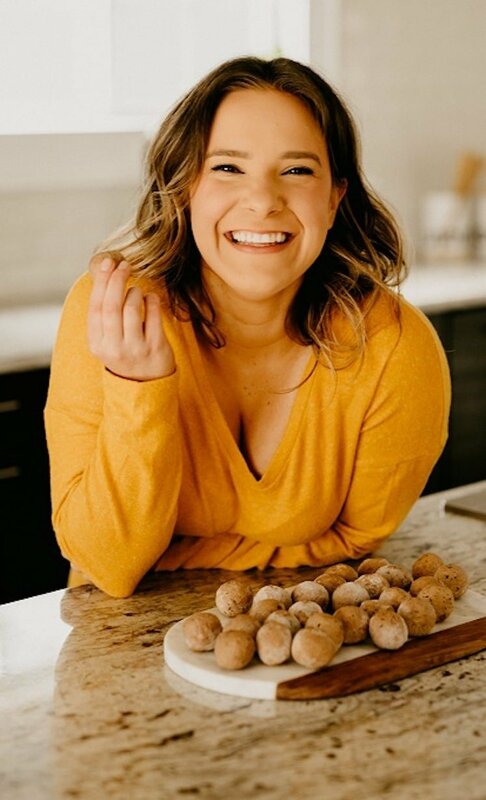 Fat bombs are among the most popular recipes on Real Balanced, so I knew that creating more of these recipes and offering them in an exclusive eBook would be valuable to readers! That being said, determine what your readers would love to see from you and go from there. You wouldn’t want to work for months on an eBook project to then launch it and have no one purchase. What posts on my site are the most popular? What do people constantly ask me about? What topic do I know a lot about and feel comfortable teaching others about it? Be sure that no matter what you choose, you are passionate about the topic. eBooks are no easy feat so, in knowing that you will be investing a LOT of time into creating it, you need to be absolutely certain that you’ll stick with it until it’s done! Contract work is a bit different than the other ideas that I have provided because it usually takes place outside of your own website. Though this isn’t something that is done through YOUR website, contract work can be incredibly lucrative! This type of work typically involves creating content for other websites or companies that is then shared with their readers as their own. Basically, you create content and then that platform owns it and can share it however they please. If you would like to take part in contract work, my recommendation is to reach out to platforms that are somewhat related to your company. When you write for these outlets, try to reference your OWN website in your writing. Not only will you be getting paid for your work, you will also get much-needed backlinks! Niche: First, find your niche. Mine is keto and low-carb (along with nut-free). Focusing on one specific topic shows readers what you are about. As time goes on, you can expand! My advice when choosing a niche is to pick something that you are passionate about. The more you love it, the easier it is to generate ideas. Pinterest: One tool that is FANTASTIC for driving traffic to your website is Pinterest. It is truly a lifesaver in the blogging world. Take the time to learn the ins and outs of Pinterest so that you can effectively optimize pins to reach your target audience and drive traffic to your content. Search Engine Optimization (SEO): SEO is crucial for allowing your website to reach potential readers. Essentially, it is what Google uses to determine whether your content is relevant to users’ searches or not. When someone completes a Google search, the Internet is scoured for the most “relevant” content. If you are using top-notch SEO practices, your website will be seen as relevant and will be presented to users. Consistency: Most importantly, consistency is key. Post regular content so that readers know that they can always come back for something fresh and new. Over time, the traffic will come! Courses: When I first got into the world of food blogging, a TON of my time was devoted to courses. I wanted to learn the ins and outs of what it takes to run a successful company. I highly recommend anything that Melyssa Griffin or Amy Porterfield releases. Podcasts: Every single day, I scour iTunes for business podcasts. I love listening to episodes to learn more about growing and scaling my food blogging business. My favorites include Amy Porterfield’s Online Marketing Made Easy Podcast, Jenna Kutcher’s Goal Digger Podcast, and Food Blogger Pro’s podcast. Google: Google can truly provide more direction than you think! It is essentially a never-ending list of resources right at your fingertips! Take time and search for things because you will likely be able to find the answer to virtually all of your questions! I highly recommend investing some time in all of these outlets. To make the process of monetizing your food blog a bit easier for you, be sure to read all of my business-related blog posts. Wow thank you so much for all of the amazing tips! Traffic has been a huge thing I’ve been focusing on. It is has been difficult to grow but I am learning SEO and hoping I’m doing it right. I just installed Yoast and it’s helped me learn. That’s great! Learning the basics of SEO will help you grow exponentially. I’d suggest listening to any podcasts that Casey Markee has been on; he’s a wealth of knowledge when it comes to food blogging SEO. Sara, I love that you are doing posts like these! They are so helpful to us new bloggers! You are such an inspiration to us all! Thank you so much for all of the useful information and for being so helpful to other bloggers!! So happy to hear that, Lesya! Thank YOU!! !